They need an outlet to expend energy or it could turn into destructive behavior or separation anxiety. Exercise helps your dog to relax, which leads to better focus, something that is especially important if you are training your dog. Socializing with new people and animals helps a dog to not become fearful and shy of other dogs and people. 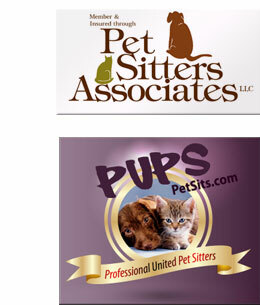 We are a professional Dog Walking and Pet Sitting Service in Bend, Oregon. At Tender Loving Pet Care your furry friends become a part of our family and are treated as if they are one of our own. We offer only the best, most reliable assistance to you because our number one priority is to make sure that your pets are safe, healthy, and kept paw-sitively happy. Traveling often without your pet? Worrying about finding the proper pet care for your furry friends? Tired of asking family and friends to check in on your animals while you are away? Feeling guilty for being away from home for most of the day? Feeling nervous about letting an unprofessional, uninsured, inexperienced person into your home to care for your pets? Then call Tender Loving Pet Care! Tender Loving Pet Care offers Exciting Trail Walks and Neighborhood Walks. We understand that you have a busy schedule but your dog still needs exercise, love and attention. When your schedule doesn’t permit the time off to exercise him/her, we are here to help and put you at ease by taking your dog for a walk when you can’t. We know it is never easy to leave our pals behind, but when we have to the best option is to be able to leave our animals in a comfortable and familiar environment: their home. We also want to know that they will be safe and tenderly loved as we love them, which is why Tender Loving Pet Care is here for you and your pets. We offer custom care for your pet’s individual needs. Whether they have special dietary or medical requirements, need a little extra playtime or regular dog walks – when choosing us, your best friends will receive the most tender loving care and attention. We know your dog is special so we are here to pamper them and give them the extra love they deserve! As an extra bonus, we will also take care of your home while you are away. Services we provide in addition to caring for your pets are watering plants, picking up the mail, and bringing in the newspaper.